Elite Singles is already well known in the online dating world to have great matches, and most of its users are college educated making it a magnet to the more affluent user. What really sets Elite Singles apart is its processes. 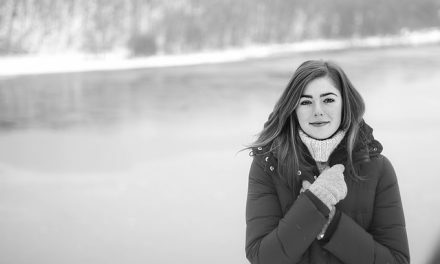 Elite Singles has an incredible personality test which works side by side with its matching process to bring you your perfect fit in a match right to your inbox. Read on to find out more about these amazing features from Elite Singles and how they can help you to meet your Mr. or Mrs. Right. 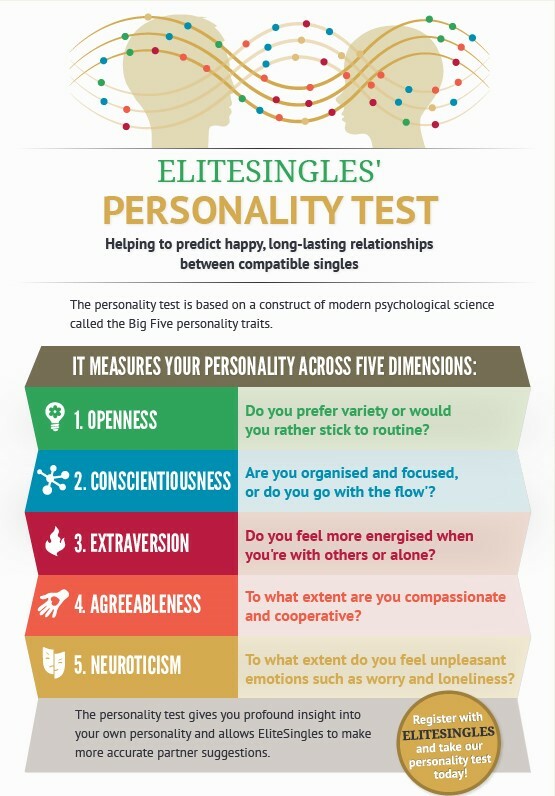 What is the Elite Singles Personality Test? 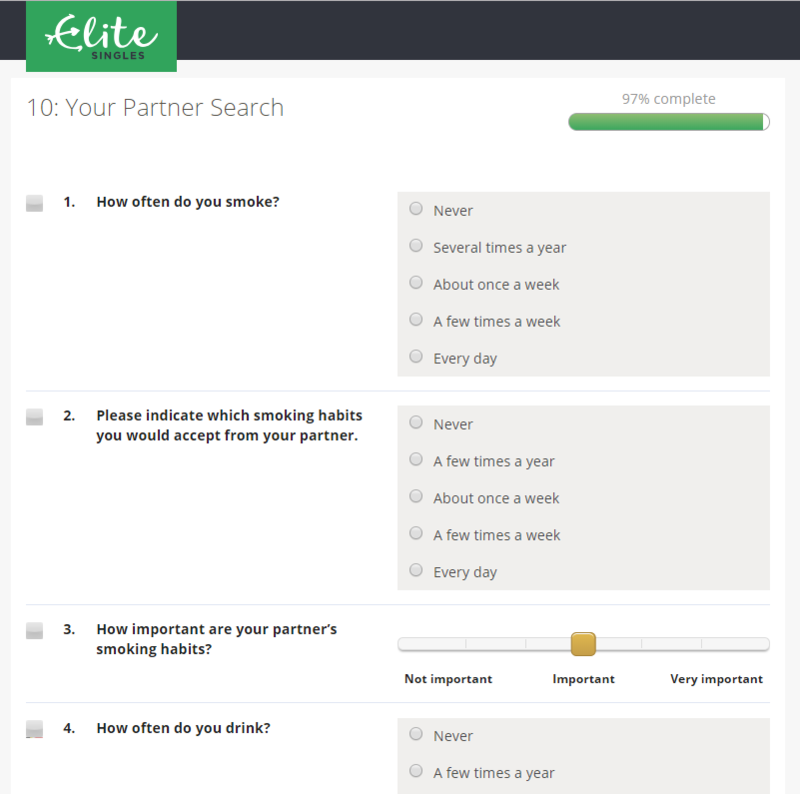 The Elite Singles personality test is a questionnaire format which is broken into ten different sections. Each section is designed to learn more about your personality and partner preferences based upon your answers. The answers are then categorized into five main factors of personality as according to the Five Factor Model Theory. This theory was developed in 1988 by two psychologists who specialized in personality research, Robert McCrae and Paul Costa. The personality test is very easy to complete and takes on average 10-20 minutes to complete. The ten sections of the test include questions that require you to answer according to a scale where you believe you rank in your agreeableness to the statement. Other questions are open-ended, some are based upon selecting words which reflect you best. All the questions are geared towards finding out where you fit personality-wise according to the Five Factor Model. 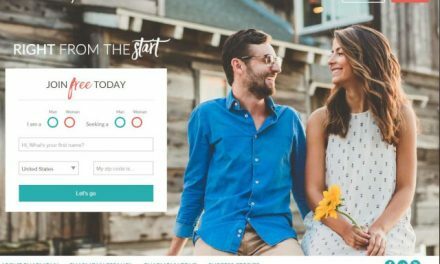 The model used for the Elite Singles personality test is what sets it apart from other online dating websites, as well as the short amount of time it takes to complete. The personality test is presented to you in sections, or individual pages, with the questions presented in a clear list format requiring not much more than a one-click answer. Other online dating sites will ask you one question at a time, one webpage at a time, this makes for quite a lengthy process. Elite Singles has the easiest and fasted personality test to complete, yet you still receive a quality personality assessment. 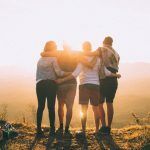 Why is the Elite Singles Personality Test Different? The thing that makes the elite Singles personality test different is the structure and model used to create the test. The Five Factor Model Theory, developed by psychologists Costa and McCrae in 1988, is the model used to create the personality test for Elite Singles. This model states that there are five areas in which our personalities can be well defined: openness, conscientiousness, extraversion, agreeableness, and neuroticism. The personality test gives a comprehensive review of who you are and what your preferences in a potential partner would be. Let’s look more at the five areas in the Five Factor Model Theory, or the Big Five as it is often referred to as. The first area we will discuss (in no particular order) is openness. A person’s openness is the degree to which they are willing, or not, to hold onto the thoughts and behaviors they have always been accustomed to. Some people are able to throw out their old thoughts and patterns for new ideas and new ways of accomplishing tasks or solving problems. Other people are very set in their ways and are not open to new ideas or processes. Another area of the personality which is looked at extensively with the Elite Singles personality test is Agreeableness. When measuring agreeableness, this is not solely regarding how much you agree with other people, but rather how you interact with others. Are you more willing to neglect yourself to the benefit of others? For example, are you willing to do everything to take care of your partner, only to realize you have no time left to take care of yourself? The extent to which we are agreeable with others depends upon the way we were raised and our cultural backgrounds, some are more agreeable, while others are way less. The Elite Singles personality test also determines the conscientiousness of the user based upon their answers to questions and preferences. The conscientiousness aspect of our personalities factors in how we go about tackling tasks. 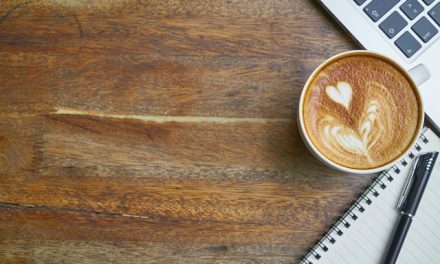 The way that one person manages their daily to do list whether at work or enjoying a day off from work can vary greatly. Some people are extremely organized with lists and numerically ordered priorities, while others are much more flexible or spontaneous with how they will finish tasks. 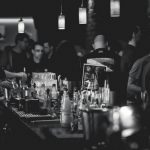 The next area of personality measured in the Elite Singles personality test according to the Big Five Theory is extraversion. Now this is something that can certainly fluctuate from day to day based upon a person’s mood, but we all have a baseline for what we prefer most. Some people like to be highly social and always have something going on with their friends and family, while others are cool just chilling at home by themselves. When looking for an online dating match, you want someone who matches your level of desired extraversion. If you are with someone who is not very outgoing and social, but you are, that would be a miserable situation for you to be in, and vice versa. The last area of personality the Elite Singles personality test measures is neuroticism. What exactly is neuroticism? Well, in a nutshell it is how much we are influenced by our emotions. Do you often give into your emotions and your actions reflect that imbalance, or are you more level headed and don’t let your emotions get the best of you? This can be one of those make or break areas, or deal breaker areas, when it comes to an online dating match. People who have bad tempers fall onto the more neurotic end of the scale, versus those who are more Cool Hand Luke and can remain calm in nearly any situation. All five of these areas of the personality are taken into consideration with the Elite Singles personality test. 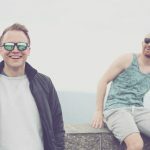 The process of determining a user’s personality is what makes the personality test different from all those other algorithm-based online dating sites. 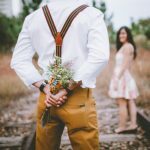 You need just the right mix of these personality traits to create a great match and Elite Singles has cracked the code on just that. How Does the Elite Singles Matchmaking Process Work? 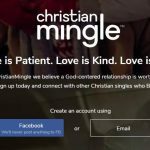 There is a four-step process used to match Elite Singles’ online dating users. These four steps are all vital in helping these users to find true lasting love. We all want to meet our ‘person’ as soon as possible, and that can take some time, but with Elite Singles specialized matchmaking process they help to streamline the process for you as much as possible. This process not only simplifies things for you, it saves you time. Let’s look more into these four steps. 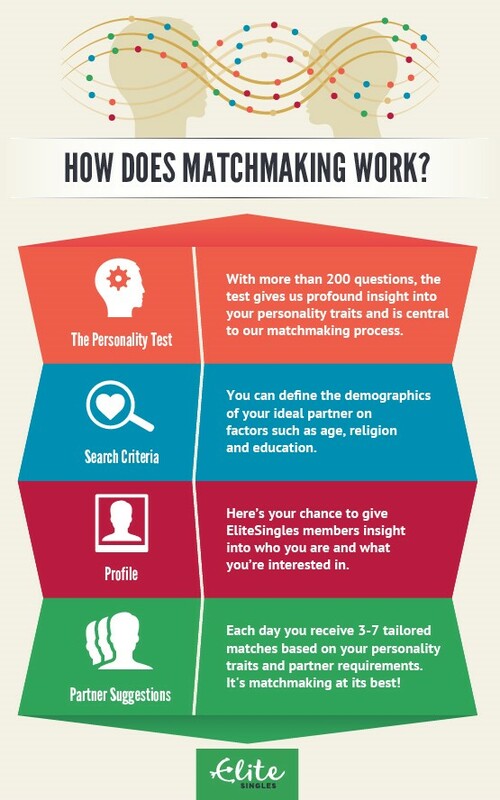 The first step in the Elite Single’s matchmaking process is their personality test. As we discussed previously, this test is based upon evaluating five of the most important personality factors: openness, conscientiousness, extraversion, agreeableness, and neuroticism. Personalities that are complementary to each other is very important in finding your best online dating match, but it’s only the first of four matchmaking steps. The second step in the Elite Single’s matchmaking process is determining your preferences, because Elite Singles knows you need more in a relationship than just compatible personalities. These preferences include things such as your deal breakers, location, age preference, lifestyle (smoking, drinking, etc. ), and even family issues such as whether you want children and marriage. Nothing is worse than meeting someone with an incredible personality and developing feelings for that person only to find out they are a smoker and smoking is your one and only deal breaker. Elite Singles works hard to ensure your preferences are considered in the matchmaking process. The third step in the elite Single’s matchmaking process is to ensure your matches are active users. We’ve all been there, you were on some online dating site and decided to take charge and search for your own match, and you come across the most amazing profile only to find out they haven’t been active in several months, or even worse… years. No one wants to have to go through that upset, so the Elite Single’s customer care team makes sure you won’t have to. The customer care team filters out inactive profiles, so they won’t appear in your matches… ever. The final step in the Elite Single’s matchmaking process is to send you specific partner matches every day. 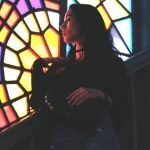 You will receive three to seven specific matches daily which will match up well with your personality, preferences and are also active users. This is the area of online dating which really saves you so much time. You don’t need to try and find your best matches, they will be sent to you each day hassle-free. Knowing that all your online dating matches have been vetted by Elite Single’s matchmaking process helps to give you the peace of mind many other online dating sites just can’t do. We have some excellent resources for you to find out more about Elite Singles. Do you want to find out how you can try out a free trial of Elite Singles? Or, perhaps you are interested in the membership pricing and benefits versus a free membership? Find all the answers to your questions through our resources below. What is Exclusive Dating and when is it official?